The definition of the word diet is the “types of foods that a person habitually consumes”. Our society, latched on to the idea that we need to be thinner, has changed the meaning of this word. It now has a second definition of “a special course of food to which one restricts themselves, either to lose weight or for medical reasons.” How many times have you heard the phrases “I’m going on a diet” or “my diet starts tomorrow”? The problem with thinking as such is that we are seeking a temporary solution to a potentially lifelong problem of unhealthy eating patterns. Simply stated: diets do not work. As a whole, they are unsustainable and ineffective. They seek to cut out one or more crucial food groups (I’m talking to you, Atkins Diet) and cause weight gain in the long term. 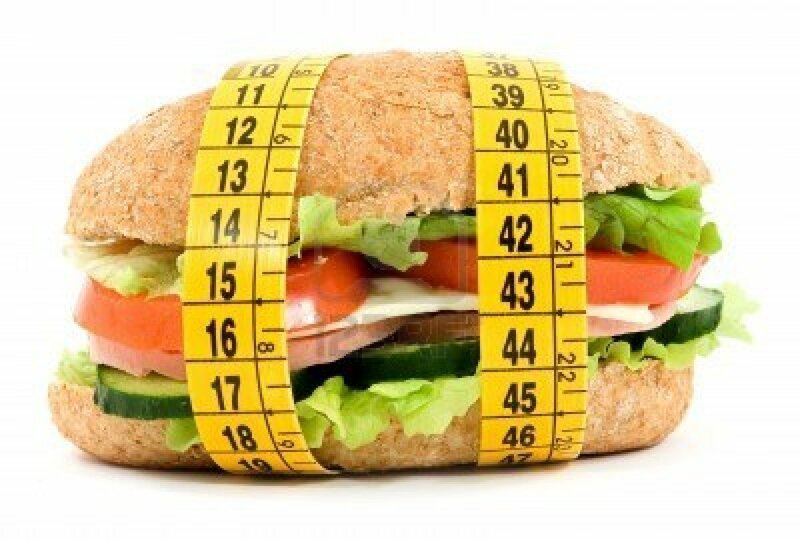 The main reason people lose weight on diets is because of calorie restriction. Their weight loss likely has nothing to do with the food they have been avoiding or on the other end, eating copious amounts of and nothing else. To eat like this is doing a great disservice to your health. Eating is a time of nourishment for your body and you need a variety of healthy, nutrient dense food to do so. Cutting out carbohydrates, for example, is near impossible and a risky choice for your health. Carbohydrates sustain our body. This macronutrient gives us the energy we need, reduces the risk of disease, and even aids in weight loss. Carbs are found in legumes, vegetables, fruits, whole grain products, and grains, but they are also found in refined sugars, processed products, and white breads. The former list of sources of carbohydrates are what we should be filling our plates with, not the latter. When people think carbs, they unfortunately think of the simple, or bad, type of carbohydrates, not the healthy sources. This is why diets that cut out carbs are so popular and ultimately unsustainable. Our bodies need the energy and benefits carbs provide. Carbohydrates is just one example of diets that cut out a certain food group and restrict intake. There are many more, but it seems in our culture that carbs are what people fixate on the most. 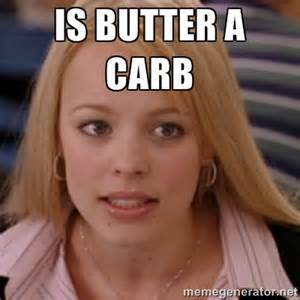 (aka “Is butter a carb?”) Most people on a diet gain the weight and more back after they get off of it. From so much restriction, your body goes into starvation mode and anything consumed is stored as fat. Binging can also be a problem after going off a diet by giving into cravings that were suppressed during the diet. For these reasons, diets are ineffective and should not be seen as a viable way of weight loss for the general population. Another facet of “health” society has latched onto is the idea of detoxes. These may have certain nutritional benefits, but for the purpose of detoxification, they do not have a role. Our body detoxes by itself with minimal help from what we consume. The liver is the most vital component to our body’s detoxification by breaking down toxic substances so we can excrete them. By eating a healthy diet, limiting alcohol, caffeine, and saturated fat intake, we keep our liver healthy, thus keeping the process as efficient as possible. If you’re eating a poor diet, you would likely have a buildup of toxins in your liver, but that can easily be fixed by eating a proper diet. If you are worried about the buildup of toxins, don’t turn to pills or fads! Add some fresh parsley or cilantro to a dish or create a gelatinous fluid with chia seeds and water. These help move toxins through the body and flush it of any heavy metals. However, detoxing should not be of such concern that we place on it now due to our bodies’ physiological function of doing so itself. If you want to make a change in your eating habits, seek to do so long term. Start with small goals for the week and build on them as you go. For example, if you load up your white toast in the morning with butter, switch to whole grain bread and use less butter or try nut butter instead. Eat fruit instead of chips with your sandwich and add in veggies whenever possible. Look for little ways you can change your dietary habits. Instead of meeting someone out for lunch, go for a walk with them or just hang out! Often, our social lives revolve around food. We tend to eat worse when we eat out and more amounts as well. These little changes add up over time and you can start to see a real change. Ultimately, the motivation to live a healthy lifestyle comes from within. Make the right choices for health and your body will thank you. Next time you see an ad for a “magic” diet, know that nothing more than eating well and regular exercise will aid in a healthy body, mind, and spirit.